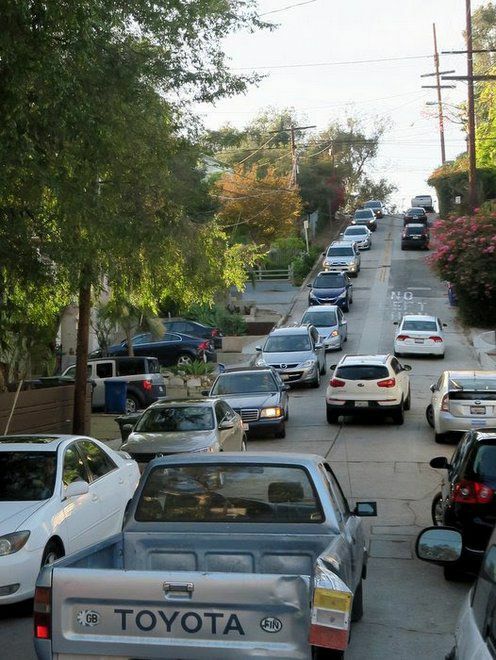 ECHO PARK — Baxter Street — one of the steepest streets in L.A. is back in the news thanks to L.A. Times columnist Steve Lopez. Lopez reviews the traffic congestion and accidents that residents of the narrow residential street say have increased thanks to Waze and other navigation apps. One resident said they requested that Baxter be removed as a shortcut on the app but Waze said no way. 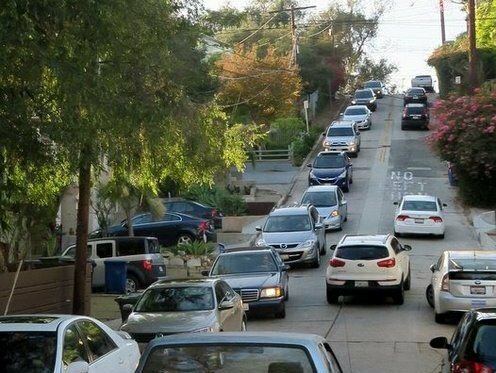 Many neighbors blame Waze for routing motorists off traffic-choked Glendale Boulevard and into a quiet residential area. Congestion, which is worse on Dodger game days, began to grow noticeably three years ago, say residents. Lopez said that residents are preparing to meet with Councilman Mitch O’Farrell today, Wednesday, April 4, to discuss possible solutions to this problem. However, some of the solutions mentioned in the past — including installing “No Left Turn” or “No Right Turn” signs of making streets one-way — have their own drawbacks, traffic engineers have said.